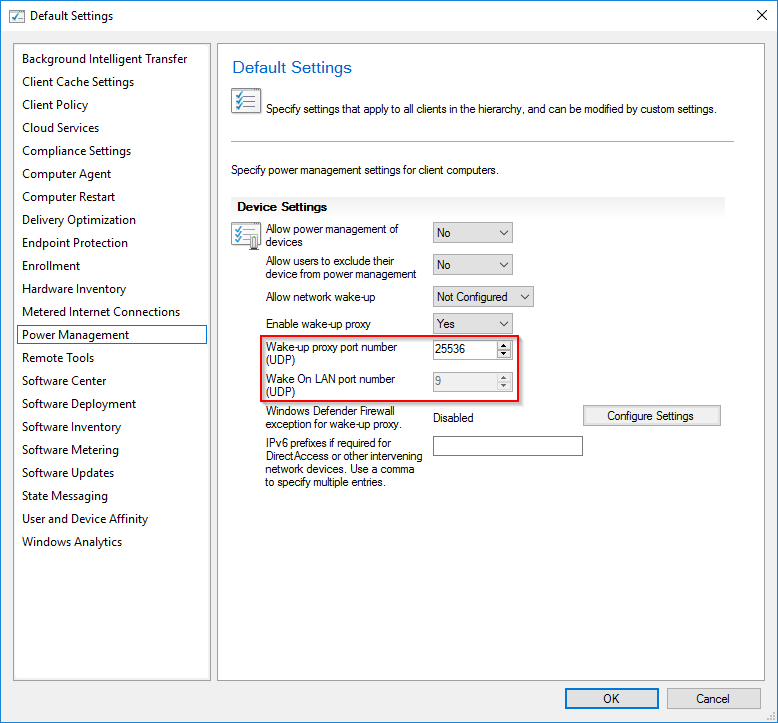 This post covers the specific additions and improvements to the client management specific features that were added to Configuration Manager 1902. Configuration Manager clients being ‘stuck’ in provisioning mode has historically been an issue for many people on occasion. This new addition sets some timeout rules for provisioning mode so that a client should snap out of it within 48 hours. When provisioning mode starts, a time stamp is stored. The client will simply check every 60 minutes and calculate how long it has been in provisioning mode and if that reaches 48 hours then it will force the client out of provisioning mode. Sounds good! This is another feature that has been in demand for a while from many people. A simple improvement really that can make all the difference for some people. Peer wake up is a great feature that was added to Configuration Manager recently and 1902 brings a further improvement. We can now specify which ports to use for this wake up. I know this was a feedback item from the 1810 release and the product team have delivered on this one.